Black leather shoulder back with a curved shape and gentle ruching at the base. 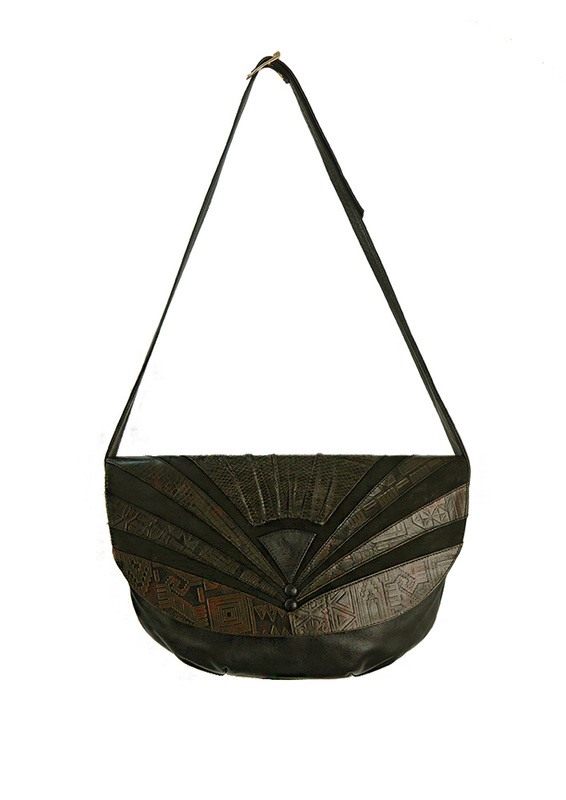 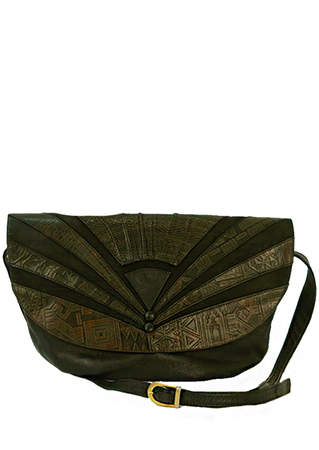 The front of the bag features a lovely Egyptian style pattern in warm olive and russet colour tones with subtle metallic gold highlights in parts. 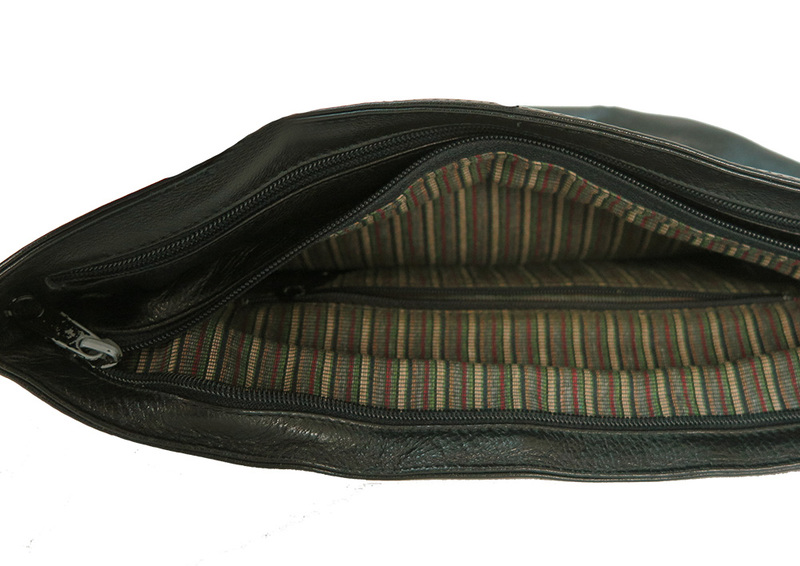 The inside of the bag is in great condition with a stripey burgundy, green & ochre fabric lining. 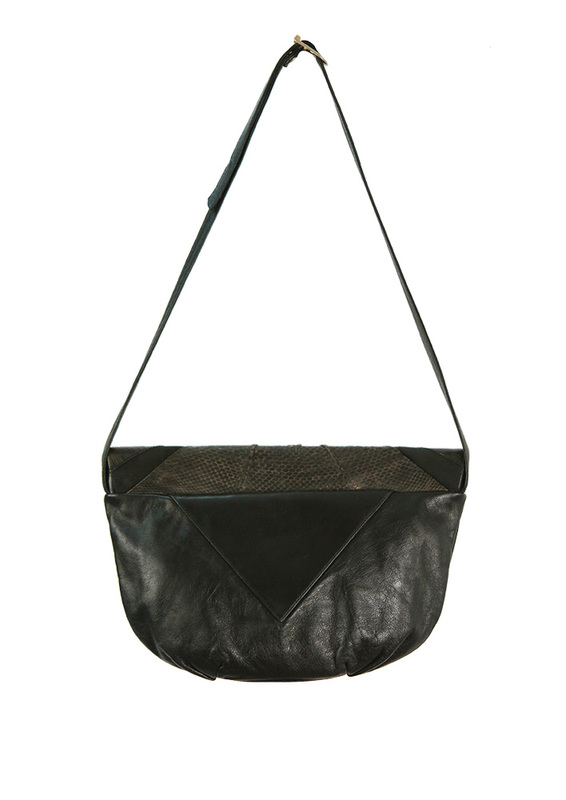 It also has two separate zipped compartments as well as a zip fastening lining pocket.